“A neo noir gangster thriller film” as described in Wikipedia, Vikram Vedha already rocked the Tamil audience all over the world. The movie which is directed by the awesome duo Pushkar and Gayathri casts R Madhavan and Vijay Sethupathi in the lead roles. The movie also casts Shraddha Srinath, Varalaxmi Sarathkumar, Kathir etc., in prominent roles. The music of the movie is composed by Sam C S.
The concept of the movie is slightly based on the Indian mythical story of King Vikramaditya and the Vedhalam. Madhavan will be seen in the role of a cop and Vijay Sethupathi, as a gangster in the movie. The movie is a story between these two contrasting figures and in the process, the lines of Good and Evil blur into a shade of Grey. Vikram, the cop played by Madhavan sees the good and bad in the world as black and white. Contradicting him is Vedha, played by Vijay Sethupathi who is a gangster and believes that there is no such thing as good and bad. The constant clash between the two makes up the better part of the movie. As much as the plot is praised, the amazing dramatics displayed by both the actors received as much appreciation from the critics. Which is why the movie garnished as one of the highest grossing Tamil movies in Indian as well as at the US Box Office. This movie is now available to watch online on YuppTV Mini Theater. For those who have missed the movie and those who want to watch it again, grab this opportunity and Watch this latest Tamil movie online for a bare minimum price. You can enjoy this amazing movie on your Android Smart TV through YuppTV App. 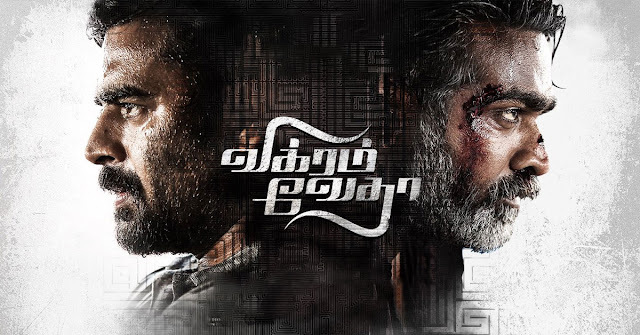 Watch Vikram Vedha on YuppTV now.